Visit downtown Ludington and enjoy music and family activities in an outdoor setting, to celebrate one of the last hurrahs of the season! Bell's Pub Crawl begins the activities Friday night from 5-9pm. Bars serving Bell's has game activities and if you complete 7 or more, you're entered to win gift certificates. 12 business are participating in the Pub Crawl. Entry fee is $10. Saturday from noon-2pm (or until chili is gone), satisfy your hunger with delicious chili. Walkers can sample the different varieties at over 30 locations and vote for their favorites. Events will be held under a large, heated tent at James Street Plaza from 2-6pm. Enjoy German-style food and craft beer from Bell's and Ludington Bay Brewing Company. Music will be courtesy of Marek Brothers Polka Band and Aberdeen. There will also be blind beer tasting contests, lawn games, kids activities and a mustache contest. Entry fee is $5; entry and four drink tickets is $20; pub entry, Octoberfest entry, four drink tickets and a glass stein is $45. 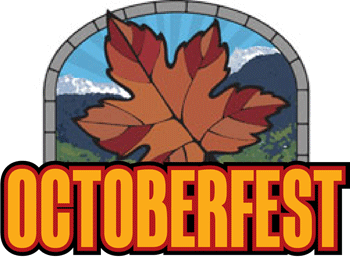 Looking for more Octoberfest activities? Check out Oktoberfest in Pentwater! Ludington is making a name for itself with its own brewery in town and other popular bars offering a variety of craft beer. 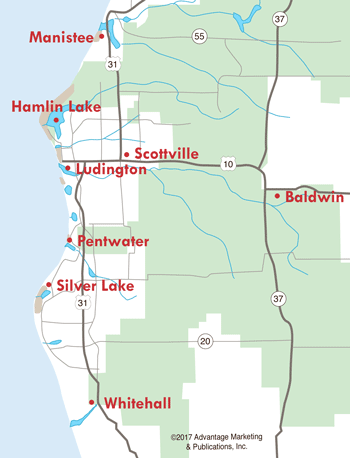 Ludington is also the venue for the Suds on the Shore Craft Beer & Wine Festival, usually held mid-August and the Pure Ludington Brrrewfest which is generally held in January.